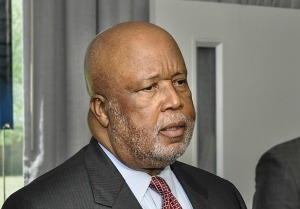 The chief of staff to Mississippi Democratic Rep. Bennie Thompson was sentenced to four months in prison for failing to file an individual income tax return for five years, the Justice Department said Tuesday. Issac Lanier Avant of Arlington, Va., will serve his time in a nonstandard manner, putting in 30 days first then serving every weekend in prison for 12 months – the total of which is four months. Avant will then spend one year on probation and have to pay $149,962 to the Internal Revenue Service in restitution. It’s unclear whether he will remain a top aide to Thompson. Avant has worked in the House of Representatives as a chief of staff for 15 years. In December 2006, he was given the additional role of Democratic staff director for the House Homeland Security Committee. He did not file taxes from 2009 to 2013 when he earned more than $165,000. In total, the IRS lost $153,522, according to the Justice statement.